Nine years ago I had the privilege of being a part of something big in Londrina, Brazil. The church I attend (Buckhead Church – a campus of North Point Ministries) established a partnership with a church in Londrina, Capela da Graça (or “Grace Chapel” in English). We have worked with them to develop ways they can reach those in their community that other local churches have not. 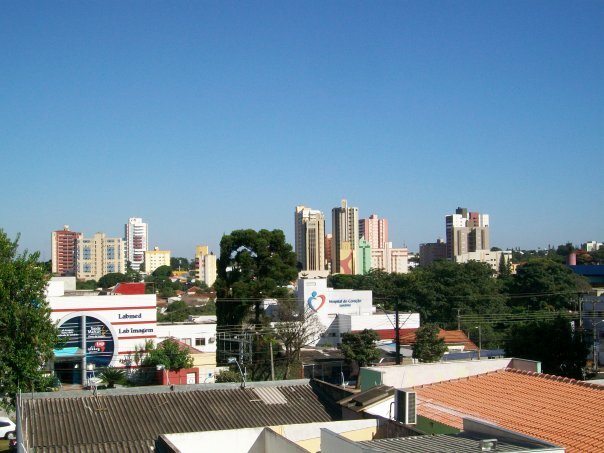 Over the past nine years I have been blessed with the opportunity to go on two additional trips to Londrina. Recently I have been approached about going on another trip to Londrina to help Grace Chapel establish a Singles Ministry in their church. In Brazil, it is typical for an individual to go straight from college directly into marriage, but there has been a recent “changing of the tide” (much like that in North America) where people are waiting longer to get married. These young adults have no ministries geared specifically towards them as most Brazilian churches put them in with their youth group. When 20-somethings, 30-somethings, and older are put in this type of environment they are not challenged spiritually or personally, so they just leave the church. 2) You can donate via check. If you are interested in donating via this method send me a private message on Facebook or e-mail me at scottcouey<AT>yahoo.com (just replace the <AT> with @) and I will give you directions. 3) Most importantly, you can pray for our team. I will be updating my personal blog (https://scottcouey.com/) with details as we prepare for the trip and while we are on the trip. Any and all donations will be greatly appreciated. Even if you do not feel like you can give much, every little bit helps. We have been asked to have at least 50% of our financial support in by July 6 and 100% by August 17. If you are not able to give financially, I understand completely and know that the main thing you can do to support me and my team is pray for us. If you have any questions or would like more information about our trip, please don’t hesitate to ask. Thank you in advance for your prayers and financial support!